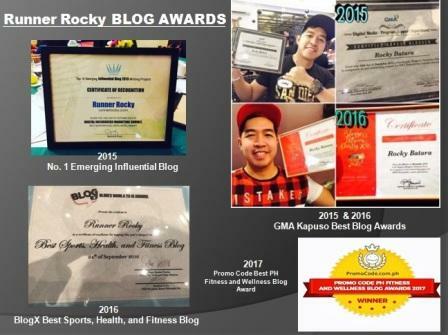 The boygroup of sports and digital community Team Runner Rocky got more busy during the month of February 2017. Different running events almost back-to-back every week, side-by-side presscons and media launches, media partnership, and launch of TRR and Runner Rocky's merchandise items as well as our official team poster took place. 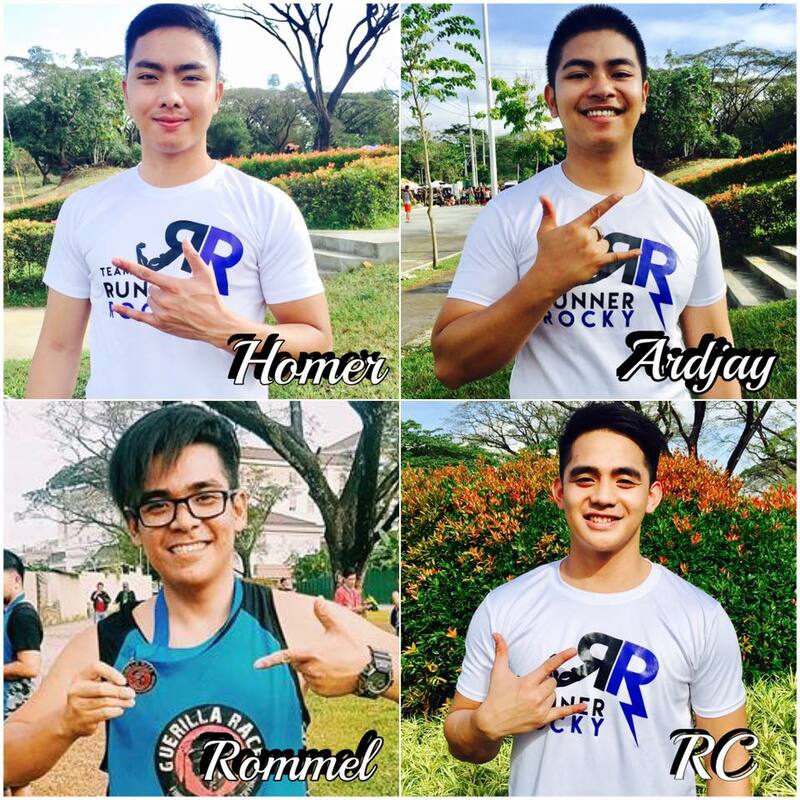 Four new members were also officially welcomed in our growing family barkada. 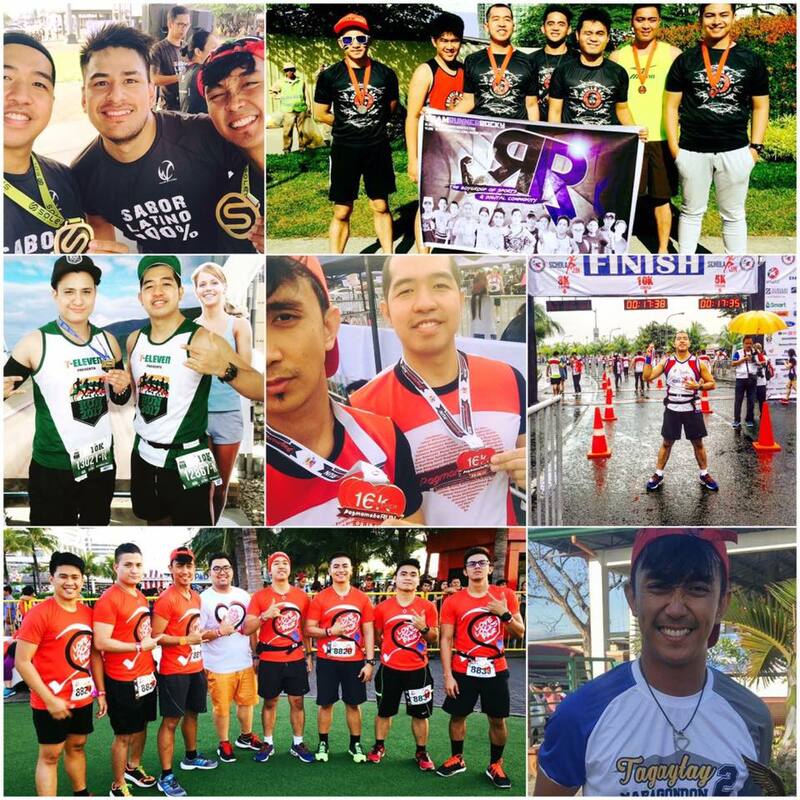 Team Runner Rocky had conquered 8 running events for the month of February which include fun runs, marathons, running dance fest, obstacle race, and ultramarathons. 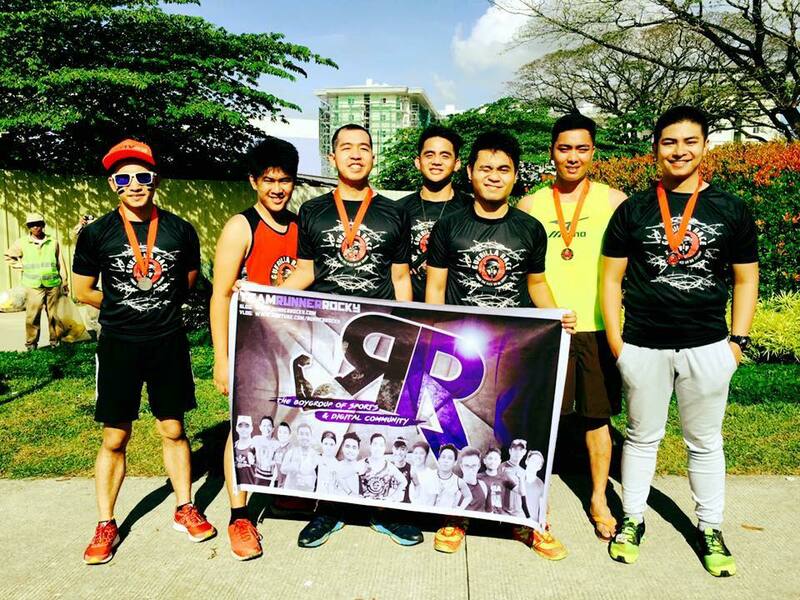 The now 16 members of the team were equally distributed joining the said races. Separate blog posts detailing those said running events were already posted here in this blog. You may check them out in our archives in the sidebar. Aside from the actual running events, the boygroup also got busy attending different presscons, media nights, and media launches not only for the running events but of different brands and products solidifying the team's other part of the tagline as the boygroup of digital community making us as the ambassadors of different brands. Details of the said events were also posted in separate blog posts. You may check them out in our archives in the sidebar. 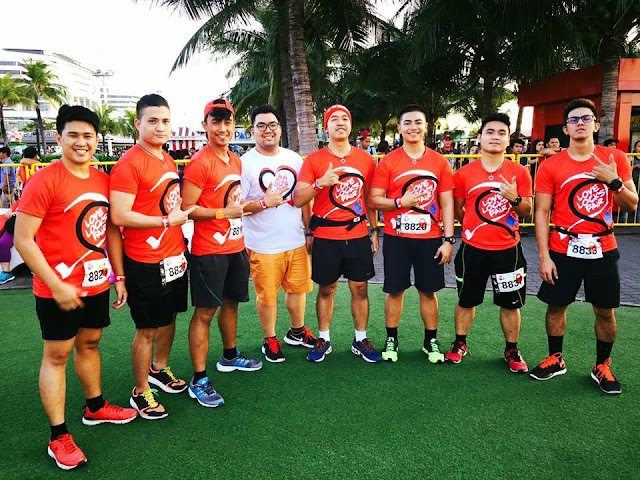 Team Runner Rocky took part handling the very first biggest Valentines Fair and Run in the country, the Love Locks Fair 2017 held at the SM By the Bay, Pasay City. We were the official media partner of the said event. 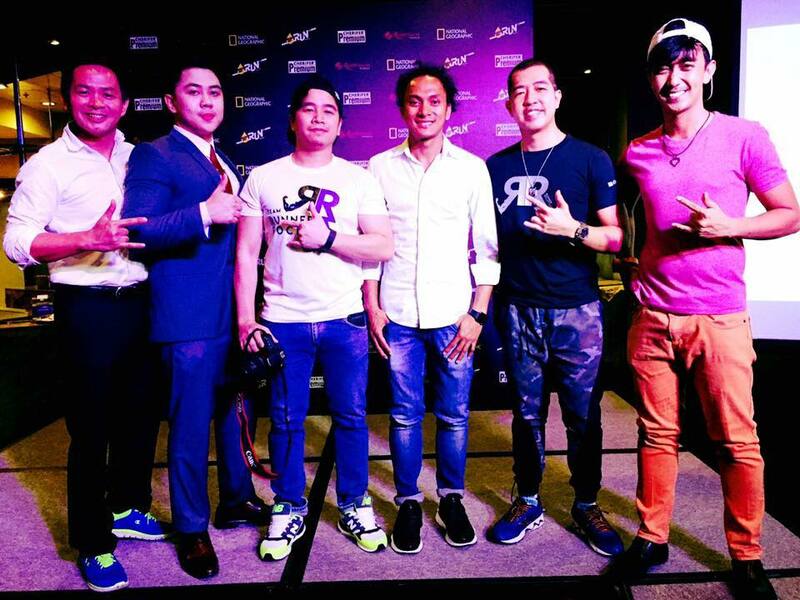 And we even gave 40 FREE racekits to all the runners who wants to join and try the obstacle fun run. The said event was the team's major event for the month of hearts. A special booth was delegated to us so that runners can visit us and meet our members who were present during the event. 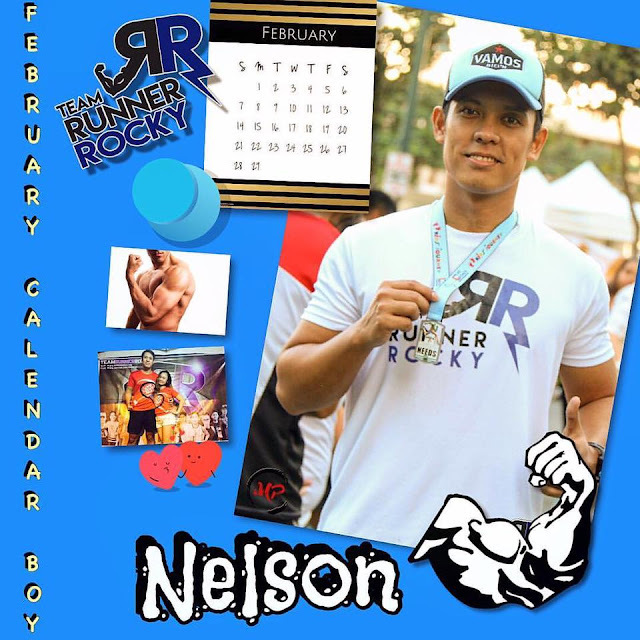 The so called "Richard Gomez of Team Runner Rocky and of the running community," Nelson Cuevas was our February 2017 Calendar Boy! Nelson hailed the title not only because he has a fabulous lovelife but also because he is into fitness and healthy lifestyle making him as one of the team's original heartthrobs capturing the hearts of many girls and girls at heart! 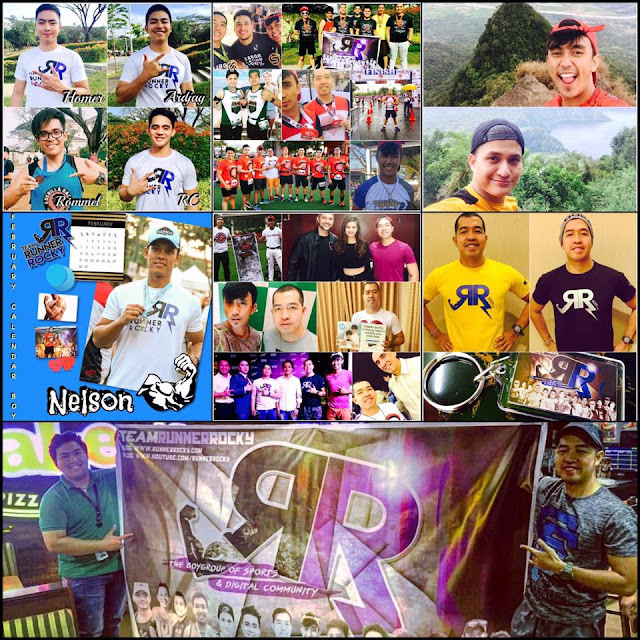 You may want to read back his story, check out our article here: Nelson Cuevas is Team Runner Rocky's February 2017 Calendar Boy. 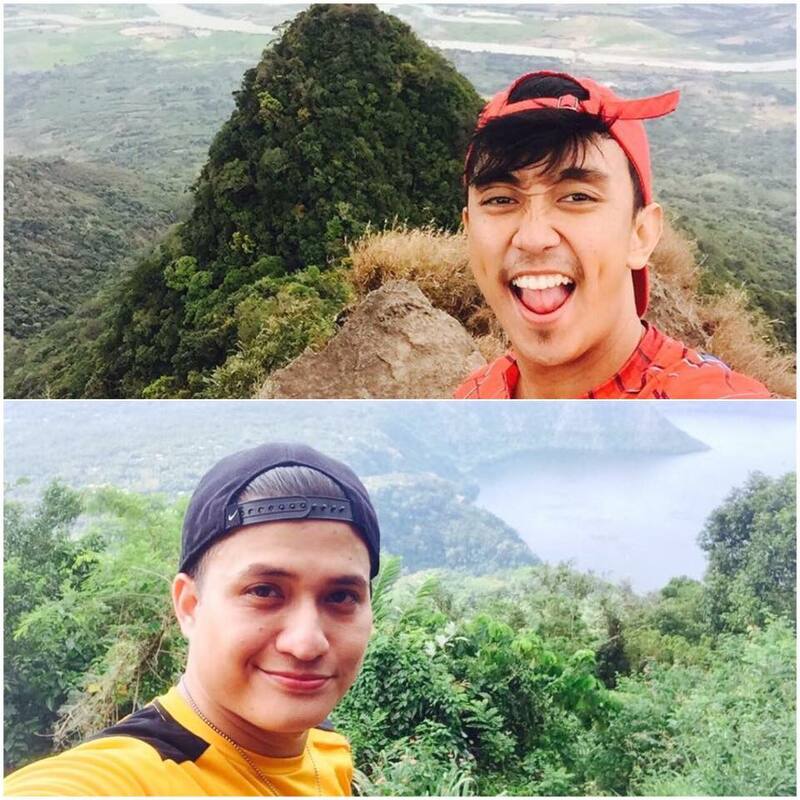 Two of Team Runner Rocky's JCs, Julius Ceasar (JC) and Jim (JcV) had their separate hikes in two of the Philippine mountains located in Pampanga and in Cuenca, Batangas. 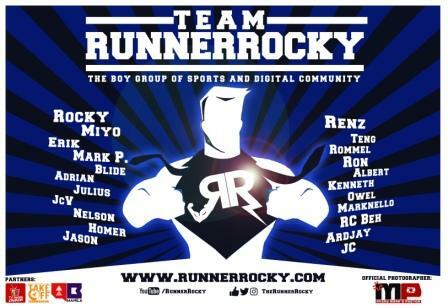 The official poster of Team Runner Rocky which features all the members was officially launched! The first launch, the soft launch took place via a sumptuous dinner with its designer Miyo Briones and the team's founder Rocky Chua in Shakey's Makati. Then during the Love Locks Fair 2017 which was the team's major event, it was officially launched. The huge billboard type team poster was posted in the team's booth area that served as a photo wall to the team and to the visitors. 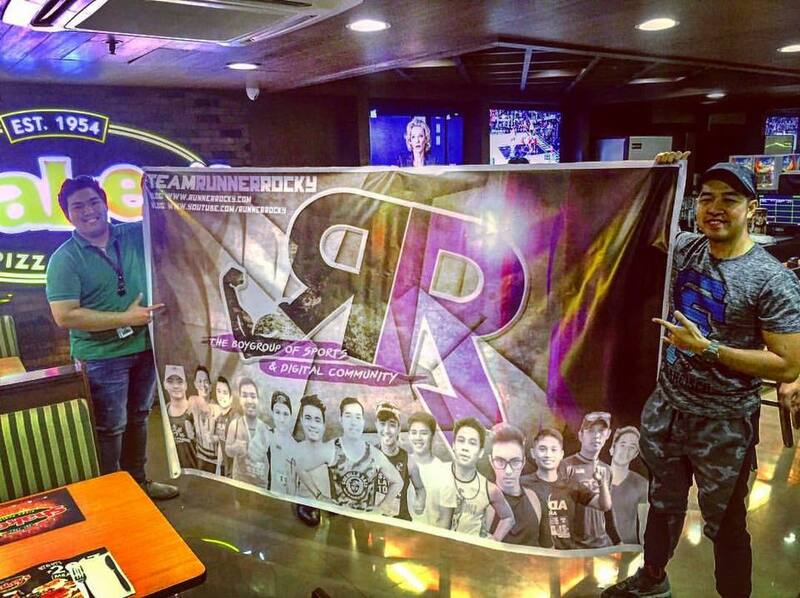 A smaller version of the team's poster was also brought during the Guerilla Race Altaraza where most of the team members were also present. 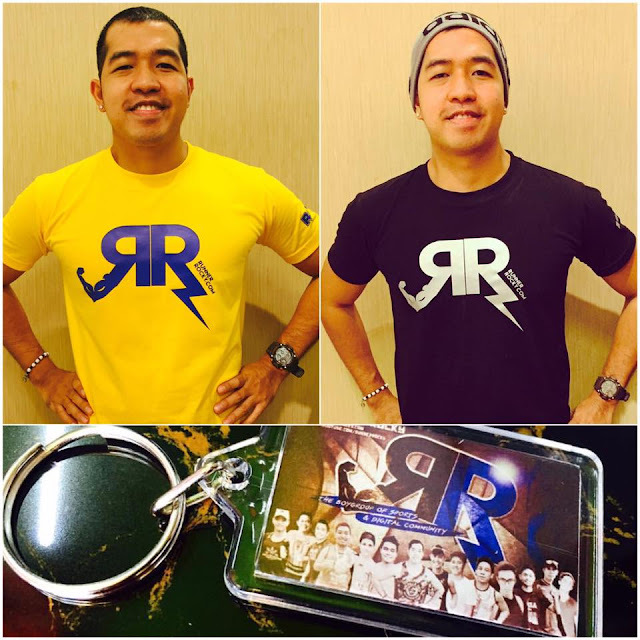 Aside from our official team shirt (the white dri-fit), other versions of the TRR and RR shirts were also introduced. A cotton shirt with variety of colors suited to wear when attending events, or in the office, or after a running event captured the interests of netizens when we first posted them in social media. More details of the said shirts will be revealed soon. In addition to the shirts, souvenir keychains which feature the team's poster were also realased. 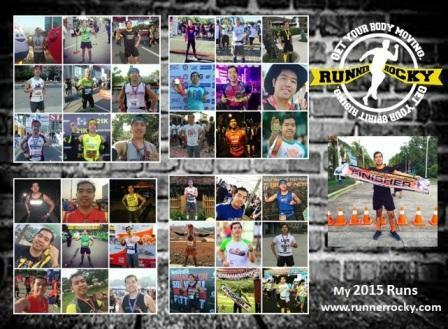 Team Runner Rocky is gradually growing! For the month of February, four new heartthrob members were formally introduced! They were Homer Cunanan, Ardjay Pugal, Rommel Averilla, and RC Tagtagon. What are common to our four members?! Well, three of them are students! 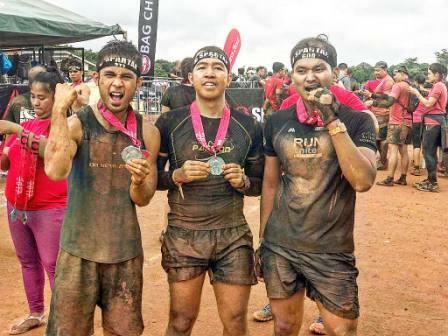 Homer is a graduating criminology student, Ardjay is a masteral student of aircraft, and RC is a psychology student in Baguio. On the other hand, Rommel is a teacher in Laguna. So, all of them are related to education! great! Get to know more about them and their exciting stories when we feature them on the coming months as our calendar boys! These were just some of our achievements for the month. This is our way of sharing and thanking the blessings that we had received for the month of February 2017. 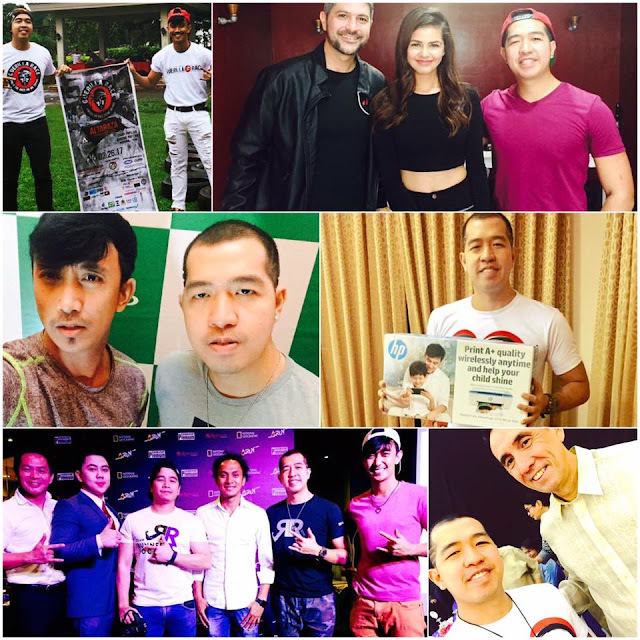 This is also our way of spreading inspirations and good vibes to the community.